In the second pAsuram, AzhwAr says “Did you mercifully wait to see me saying ‘when will I see you?’ in suffering? Alas! Instead of making me suffer like that, you should mercifully let me see you”. Subsequently, AzhwAr thinks about the enjoyability of emperumAn‘s forms in “vENduvENduruvam ninnuruvam” and requests emperumAn to show mercy upon him to stop his suffering. pENumARellAm pENi nin peyarE pidhaRRumaRaruLenakkandhO! kANumARaruLAy kAguththA! kaNNA! thoNdanEn kaRpagak kaniyE! pENuvAramudhE! periya thadam punal sUzh perunilam eduththa pErALA! pErALA – oh great personality! kANumARu aruLAy – AzhwAr is not of the type to say “let me try on my own to attain him” when he asks emperumAn to appear infront of him and emperumAn does not do so. Like the chAthaka bird which sustains itself only with direct rain water, AzhwAr looks for emperumAn’s mercy only. Hence, he again says “kANumARu aruLAy“. enRu enRE – These are his words always. Only if there is another refuge, he can take shelter of that. kalangi – bewilderment only increases; SrI rAmAyaNam ayOdhyA kANdam 100.1 “jatilam chIravasanam prAnjalim pathitham bhuvi| dhadharSa rAmO dhurdharSam yugAnthE bhAskaram yathA ||” (Having matted hair, wearing tree-bark-robes, having joint palms, lying flat on the earth. 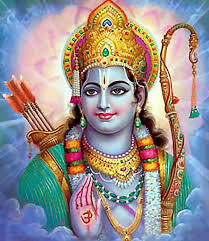 SrI rAma unable to bear that vision that is like the radiant sun during dissolution). kaNNa nIr alamara – Just as a filled lake will overflow, the internal torment comes overflowing as tears. vinaiyEn – Until now, there has been no one who has desired for emperumAn but ended with tears! I am so sinful that I have desired to see him who wipes the tears of even those who have a little desire to see him, and ended up with tearful eyes. pENumARu ellAm pENi – pENugai – desiring. First considered self to be unqualified to be with him and left him; then said that there is no use of self and belongings of self, when not desired by him; then with great sorrow, performed madal; surrendered in many ways; showed romantic anger and so on. nin peyarE pidhaRRumARu aruL enakku – as you tried to shower your mercy upon me, I have ended up incohesively reciting your names; is this what your mercy is – to make me call out your divine names in sorrow of not attaining you? Are you remaining silent thinking “as I have made AzhwAr to call out for me instead of hankering for worldly pleasures”? Am I desiring to just be different from samsAris (worldly people)? Should I not have my goal attained? vinaiyEn pENumARu ellAm pENi – pENudhal – desiring. Desiring in all manner. Are there many ways to desire? Yes; [two types of desires] desiring for apt aspect and desiring for aspect which we like. For AzhwAr, both apt aspect and desirable aspect are the same. In case of apt aspect, the desire will be in proper order, and in desirable aspect, the desire will be without any boundary. For the apt aspect, one needs to surrender unto emperumAn to get it; he did that too in thiruvAimozhi 5.7 “nORRa nOnbu“, thiruvAimozhi 5.8 “ArAvamudhu“, thiruvAimozhi 5.9 “mAnEnOkku“, thiruvAimozhi 5.10 “piRandhavARu” and thiruvAimozhi 6.10 “ulagamuNda peruvAyan“. For the desire in desirable aspect, one needs to do starting with sending a messenger and ending with performing madal (public display of dejection); he did that too starting with thiruvAimozhi 1.4 “anjiRaiya mada nArAy” up to thiruvAimozhi 5.3 “mAsaRu sOdhi“, thiruvAimozhi 6.1 “vaigal pUngazhivAy“, thiruvAimozhi 6.8 “ponnalagALIr“. AzhwAr is saying “in this manner, after pursuing all types of desires towards you, your mercy has only landed me into reciting your name incohesively”. andhO – You have not tasted separation from yourself, and you have not seen those who are separated from you. nithyasUris never separate from you, and samsAris don’t realize that they are separated from you; hence I am the only one who is having such sorrow. kANumARu aruLAy – Either you bring thiruvARanviLai near me or give me the strength to go there. kAguththA – SrI vishNu purANam 4.2.77 “kakuthstha vamSE vimukA:prayAnthi” (Are you not born in kakuthstha vamSam?) SrI rAmAyaNam AraNya kANdam 1.13 is explained here – rUpa samhananam – your physical beauty, lakshmIm – your collective beauty, saukumAryam – even favourable persons cannot stare at you [your body cannot tolerate that]. suvEshathAm – this ascetic appearance, dhadhruSUr vismithAkArA: – the internal senses of those who saw you, became astonished. Who are they? vanavAsina: – The forest-dwellers who survived by eating dry leaves saw this amazing form of yours, which was not even seen by the residents of ayOdhyA, the capital city. kaNNA – Not just for rishis (sages), but did you not manifest yourself even for cowherd girls and boys as said in SrI bhAgavatham 10.32.2 “… thAsAmAvirabUth …” (He appeared amidst the cowherd girls like the cupid for cupids). Further, Why should you search outside? thoNdanEn kaRpagak kaniyE – Oh one who fully gave yourself to me who was engaged in worldly matters and was only searching for them, by eliminating those desires from me! pENuvAr amudhE – Oh one who is perfectly enjoyable for those who don’t push you aside when you come and help them! periya … – Who prayed to you to make you rescue the universe from the deluge and protect it? Oh great personality who uplifted the great earth which was surrounded by the water during the deluge! Did you not protect the universe which neither desired you nor requested you to do so? Would you not protect as soon as you come to know about the danger? pErALA – emperumAn‘s desire to protect is much greater than that which is to be protected. This entry was posted in thiruvAimozhi, thiruvAimozhi 8th centum on January 24, 2019 by Sarathy Thothathri.